Previously, I wrote an incredibly long post about how to build your own Asian Beauty routine shopping only at Sephora. If you read that post and thought “holy moly, that’s more money than I want to spend”, this guide is more likely to suit your budget (although I will do another post shortly that has even more options). You can find many of the “lower-end” (meaning “slightly less ruinously expensive”) brands at Urban Outfitters, although like Nordstrom, not all of the products are available in-store. It is extremely easy to build a routine at Urban Outfitters, although again, it is more expensive than importing directly. Disclaimer: I don’t work for Urban Outfitters. I don’t buy many of my beauty products at UO (although I did purchase a few Mizon products back during their end of summer sale about a year ago). I purchase all of my reviewed products with my own cold, hard debit card. Neither I nor this blog are affiliated with UO or any of the brands that I’ve included in this list – I just thought this might be a helpful resource to folks who want to get started and aren’t sure which brands they should be shopping. Shop with your best judgment! Urban Outfitters’ website isn’t easy to navigate if your skincare routine isn’t based in the Western style – things end up in strange categories, or are mentioned in one place and not another. You have to either be willing to spend a lot of time noodling around on the site and hoping to hit gold, or find a guide to the products that Urban Outfitters carries. Although this post isn’t going to be a definitive guide (I’m sure Urban Outfitters will add to and take from their stock just like any other retail establishment, and things change over time), I’ve done my best to sort through what they’re currently offering and separate it out. Here’s what you can can get shopping at Urban Outfitters, separated by routine step. TonyMoly’s Floria Brightening Cleansing Oil goes for $20 for 190 mL (6.69 ounces). Their Clean Dew Apple Mint Cleansing Oil is $16 for 150 mL. The Face Shop’s Rice Water Bright Cleansing Oil is $18 for 5.07 ounces. DHC’s Deep Cleansing Oil, $28 for 200 mL (6.7 ounces), is a very popular oil cleanser. Urban Outfitters sells a mini for $6 if you want to test it out, or need a smaller version for traveling. Mizon’s Real Soybean Cleansing Oil is $24 for 6.76 ounces, and is supposed to exfoliate as well as cleanse. TonyMoly’s Peach Punch Sherbet Cleansing Balm, $26, is for folks like me whose skin despises cleansing oils. Feeling lazy? (I am, sometimes.) Face Shop Rice Water Bright Cleansing Tissues, $12, are portable and easy to use. Binchotan Facial Soap, $30, is a bar soap made in Japan that contains Binchotan charcoal. Chidoriya’s Green Tea and Pearl Barley Soap, $14, is for combination to oily skin, and the Silk and Rice Facial Soap, $15, is for dry or aging skin. The Face Shop’s Rice Water Bright Cleansing Milk is $12 for 6.76 ounces. Cleansing milks are a less-drying alternative to the popular foaming cleansers used in the two-step cleanse routine. Aromatica Sea Daffodil Cleansing Mousse, $25 for 5 ounces, is for normal and combination skin types. Mizon Snail Cushion Foam Cleanser, $18, contains snail mucin extract; their Acence Anti-Blemish Cleanser, $20, is targeted towards skin irritation and inflammation, and the Oil Bubble Deep Cleanser, $22, is apparently extra foamy. The Egg White Bubble Cleanser, $23 for 5.7 ounces (150 mL), is supposed to be more lightweight and contains egg white extract. DHC’s Face Wash Powder, $14, starts as a powder and then when water is added becomes a foaming cleanser. Holika Holika’s Egg Soap Special Set, $14, is two egg-shaped bar soaps, and comes in four varieties: Green Tea for moisturizing and soothing sensitive skin, Red Clay for dry and combination skin, Charcoal for oily skin, and Egg for cleaning pores. Goodal’s Phyto Wash Yerba Mate Bubble Cleanser, $33 for 50 mL, is a foaming exfoliating wash-off mask. The Purifying Plus Pore Tightening Gel, $45, is to be used on the t-zone of the face. Their Deep Clean Pore Glacial Clay, $25, is an exfoliating clay mask. Binchotan Charcoal Facial Cleansing Mask, $48 for 3.5 ounces, claims to be usable as a makeup remover, cleanser, and a mask. For this price I’d probably just use it as a mask. It’s named for the Binchotan charcoal used to make it. Mizon Seaweed Jelly Scrub, $18, is a physical exfoliator. Mizon Pore Clearing Volcanic Mask, $18 for 2.82 ounces, contains volcanic ash from Jeju Island to clean pores. Their AHA 8% Peeling Serum, $38 for 1.35 ounces, is exactly what it says on the tin – an AHA acid treatment designed to exfoliate by getting rid of dead skin. I’ve used this product before and I really like it, although now that I’m using Pocketderm adding in extra acids is too much exfoliation for my skin to handle. Missha Black Ghassoul Tightening Mask, $13, is a clay mask for pore care and oil control. Their Black Ghassoul Peel-Off Nose Pack, $10, comes in a tube rather than a pot, if that’s your preference. 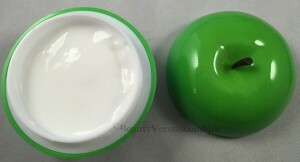 TonyMoly Appletox Smooth Massage Peeling Cream, $17 for 2.82 ounces, is a gommage peel. I own this and it smells divine, but I don’t find gommage peels to be particularly effective. It may be better for people with sensitive skin who need a more gentle type of physical exfoliation. TonyMoly Egg Pore Blackhead Out Oil Gel, $17 for 1.01 ounces, is designed to clean out pores and eliminate dead skin cells. Caolion Blackhead Steam Pore Pack Premium, $23 for 50 grams, is a charcoal mask geared towards all skin types. Their Premium Blackhead O2 Bubble Pore Pack, $26 for 50 grams, is a bubbling charcoal mask designed to unclog pores. The Premium Pore Original Pack, $20 for 50 grams, is a deep cleansing mask that claims to be especially good for oily skin. The Premium Pore White Cake Pack, $25 for 500g, is for pore minimization and brightening. The Egg Pore Tightening Pack Mask, $17 for 1.01 ounces, is designed to manage oil production and minimize pores. The Face Shop Real Clay Pack, $28, is a clay pack designed to clean pores. Cure Natural Aqua Gel, $44 for 250 mL, is a facial exfoliator that should be used twice a week. Skinfood’s Steam Milk Bubble Mask, $22 for 5.07 ounces, is for cleansing, exfoliation, and moisturizing. The Fresh Aloe Pack, $18 for 3.52 ounces, is designed to draw out toxins, oil, and dirt. The Rice Mask, $18 for 100g, is for moisturizing and toning. Missha Super Aqua Pore Correcting Blackhead Melting Oil Gel, $18, has a rubber brush applicator tip and is meant to be used directly on trouble areas. Their Blackhead Clear Dual Patch, $4 for one set, is a nose strip followed by a treatment patch. Their Speedy Solution Anti-Trouble Patch Set, $5 for a box with 8 patches, contains patches that go right on top of acne for direct, targeted treatment. The Face Shop Volcanic Clay Black Head Nose Strip, $6 for a box of 7 patches, comes in two varieties: aloe and charcoal. Holika Holika Pig-Nose Clear Blackhead Perfect Sticker, $8 for a box of 3, is a nose strip. The Face Shop Blackhead Out White Clay Nose Pack, $8 for 1.76 ounces, is a peel-off clay mask. Mizon Acence Mark-X Blemish After Cream, $22 for 1.01 ounces, is a spot treatment for post-inflammatory hyperpigmentation, discoloration, or puffiness associated with acne. The Acence Blemish Spot Solution Serum, $35 for 1.01 ounces, is a spot treatment for active acne spots. The Acence Blemish Out Pink Spot, $18, also contains calamine and is supposed to be used overnight. Goodal’s Phytorain Murumuru Seed Hydra Toner, $29, is a hydrating serum for dry to normal skin. The Phytoshine Acaiberry Brightening Toner, $30, contains vitamins and is intended to keep skin luminous and add moisture. Mizon’s Skin Toners, $23 for 5.07 ounces, come in three varieties: Rice Wine for brightening, Mojito Punch for pore control, and Tequila Shot for moisturizing. I haven’t tested these long enough to have much to say about them, unfortunately. Mizon’s King to the Kong No. 1 King’s Berry Aqua Drink Toner, $32 for 18 ounces, is supposed to moisturize, cleanse and refresh. 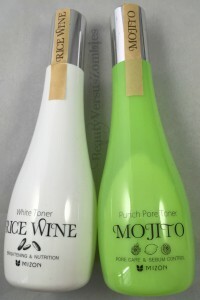 The Pore Control Peeling Toner, $24 for 2.7 ounces, is an oil control toner that also claims to balance the skin’s pH. Aromatica Sea Daffodil Aqua Toner, $25 for 130 mL (4.3 ounces), is supposed to be a pH-balancing toner (important if you use actives in your routine!) that is gentle and hydrating. Be The Skin Botanical Nutrition Toner, $25 for 150 mL, is also supposed to be pH-balancing. I’m super glad that companies seem to be getting on the pH train. Be The Skin’s Botanical Nutrition Power Toner, $29 for 150 mL, is infused with royal jelly and claims to balance the skin’s pH level, firm, and hydrate. The Botanical Pore Toner, $25 for 150 mL, is designed to balance pH while minimizing the look of pores, and is geared towards normal to oily complexions. Chidoriya’s Peach and Moon Water, $33 for 4 ounces, is an anti-inflammatory toner. The Face Shop’s Chia Seed Watery Toner, $26 for 4.9 ounces, is for deep hydration. TonyMoly Panda’s Dream So Cool Eye Stick, $12, is for de-puffing and cooling around the eyes. TonyMoly Panda’s Dream Good Bye Dark Eye Corrector, $12 for .67 ounces, is for treatment of dark circles. Missha’s Super Aqua Relief Eye Cream, $18 for 30 mL, is for hydrating dry under-eyes. Their Speedy Solution Clearing Gel Eye Patch, $4 for one set, is designed to combat dark undereye circles and firm the skin. Mizon Snail Repair Eye Cream Tube, $14 for 1.18 ounces, contains 80% snail mucin. Their Returning Starfish Eye Cream, $32 for 2.02 ounces, contains actual starfish extract. I’ve only ever used the regular face cream, but it’s got a really interesting squishy texture to it. Chidoriya’s Brightening Eye Serum, $25 for 10 mL, features carrot seed oil and is intended to combat dark circles. The Face Shop Chia Seed Watery Eye and Spot Essence, $34 for 1.01 ounces, can be used both for hydrating under-eyes and for treating skin issues like acne and spots. Caolion Pore Care Hydrating Mask, $6 for one mask, contains snake and bee venom to smooth skin. TonyMoly’s I’m Real Mask Sheets, $4 per sheet, come in several varieties: Seaweed, Aloe, Rice, Tea Tree, Avocado, Tomato, Red Wine, Pomegranate, and Lemon. The Pure Farm Pig Collagen Hydrogel Mask is $9. The Face Shop 3D Ampoule Mask Sheet, $5 per mask, comes in three varieties: Hyaluronic Acid Colostrum, Red Ginseng Ceramide, and Collagen Pine Mushroom. The Hydro Vita Gel Mask Sheet, $4 each, comes in three types: Vita B, Vita C, and Vita E. The Chia Seed Hydrating Mask Sheet is $5 per mask. The Skin Lounge 3 Mask Seoul Collection is a $12 set of three masks, each with a different aim: firming, hydration, and brightening. Mizon’s Returning Starfish Bio Mask, $7, is a biocellulose mask that’s shaped like a star – so it doesn’t cover your whole face. The Water Volume EX Sheet Mask is $8 per mask. The Face Shop Chia Seed Moisture-Holding Seed Essence, $34 for 1.69 ounces, contains gel capsules and is suitable for all skin types. Goodal Phytorain Murumuru Seed Hydra Serum, $34 for 45 mL, is for smoothing and moisturizing dry to normal skin. Their Waterest Lasting Water Oil Face Serum, $30 for 2.02 ounces, is an oil-based moisturizing serum. Be The Skin’s Botanical Pore Serum, $35 or 50 mL, is designed to soothe skin and minimize pores. The Botanical Nutrition Power Serum, $39 for 1.69 ounces, is hydrating and nourishing. TonyMoly’s Floria Whitening Capsule Essence, $30 for 1.69 ounces, is for brightening and clearing skin. Mizon’s Snail Repair Intensive Ampoule, $38, contains snail extract and is designed to brighten, smooth, and clear skin. The Pure Argan Essential Wrapping Oil, $32 or 1.01 ounces, is a serum designed to hydrate. The Original Skin Energy Peptide 500, $48 for 1.01 ounces, is designed to promote skin elasticity. The Original Skin Energy Hyaluronic Acid 100, $42 for 1.01 ounces, is designed for hydration and contains 50% hyaluronic acid. Goodal’s Phytorain Murumuru Seed Hydra Emulsion, $29 for 45 mL, aims to promote a healthy water-oil balance in the skin and lock in moisture. It is targeted for normal to dry skin. The Face Shop’s Calming Seed Skin-Resting Cream, $45 for 1.69 ounces, is designed to be gentle for sensitive skin. Mizon King to the Kong No. 1 Moist Magic Cream Mist, $28 for 3.38 ounces, is a mist-style lightweight moisturizer. Mizon Snail Recovery Gel Cream, $18, is a gel moisturizer containing snail extract. This product is a personal favorite of mine – I use it both morning and evening and have gone through at least three tubes of it. Mizon’s Acence Blemish Control Soothing Gel Cream, $32 for 5.07 ounces, is a lightweight moisturizer also designed to combat acne and post-inflammatory hyperpigmentation. Be The Skin’s Botanical Nutrition Emulsion, $29 for 150 mL, contains olive oil for lightweight hydration. Goodal’s Phytorain Murumuru Seed Hydra Gel Cream, $35 for 45 mL, is listed as being suitable for all skin types. Their Silky Plus Soothing Gel Cream, $42, is recommended as a last step in the routine, and claims to be deeply hydrating; the Creamy Plus Hydrating Cream, $42, contains seven kinds of vegetable oil and red yeast rice. 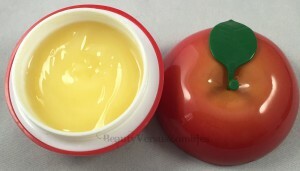 TonyMoly Red Appletox Honey Cream, $17 for 2.82 ounces, has honey, royal jelly, and propolis for moisturizing and exfoliating. I own this product – if you are super oily, it is likely to be too much for you as anything other than a sleeping pack, but the container is adorable, I love the apple smell, and it’s great when my skin is dehydrated. It’s not an awesome exfoliator, though. TonyMoly Intense Care Snail Cream, $54, is the brand’s filtrated snail mucin product. The Face Shop’s Chia Seed Sebum Control Moisture Cream, $40, is geared towards oily, sensitive skin types. Their Chia Seed Moisture Holding Face Cream, $34, is a moisturizing cream. Mizon All-In-One Snail Repair Cream, $38 for 2.53 ounces in a jar or $15 for 1.18 ounces in a tube, contains snail extract (cruelty-free) for skin rejuvenation and skin trouble treatment. The Black All-In-One Snail Repair Cream, $54 for 2.53 ounces, uses black African snail extract specifically. The Water Max Aqua Gel Cream, $32 for 4.22 ounces, is designed for oily skin but works on all skin types. The Returning Starfish Cream, $32 for 2.02 ounces, contains starfish extract and collagen, and has a hilarious texture that I really enjoy. Mizon’s King to the Kong No. 1 Moist King’s Berry Cream, $32 for 4.39 ounces, is a brightening moisturizer; the Mela Defense White Capsule Cream, $38 for 1.69 ounces, aims to lighten and even skin tone, and the Snail Repair Perfect Cream, $38 for 1.69 ounces, is listed as safe to use in the undereye area as well as all over the face. Be The Skin’s Botanical Moisturizing Soothing Cream, $35 for 1.69 ounces, is designed for normal to oily skin and claims to help control oil production. The Botanical Nutrition Power Cream, $39 for 1.69 ounces, claims to provide a dewy finish while sealing in moisture. The Botanical Nutrition Cream, $35 for 1.69 ounces, contains olive oil for nourishing. Aromatica’s Sea Daffodil Aqua Gel Cream, $45 for 100 mL, is for sensitive, irritated, and sun-damaged skin. It is noted as especially good for normal and combination skin types. Goodal’s Anti-Wrinkle Sleep Cream Pack, $32, contains fermented argan and lavender oil. TonyMoly’s Magic Food Banana Sleeping Pack, $28 for 85 mL in a banana-shaped container, is recommended for use 2-3 times per week for all skin types. Every time I see this product I get that annoying “Minions singing the word banana” clip stuck in my head. The Pure Farm Pig Collagen Sleeping Pack, $26, contains collagen and green tea and comes in a cute piggy container. Mizon’s Snail Sleeping Pack, $26 for 2.70 ounces, is recommended for use once or twice a week. The Night Repair Melting Rich Cream, $42 for 1.69 ounces, is to be used as the last step in an evening routine every day, and the Good Night White Sleeping Mask, $24, contains lavender and is designed to even skin tone. Caolion’s Goodnight Sleeping Pack, $51 for 100 grams, is recommended for use three times a week and contains niacinimide and adenosine. Mizon’s UV Bounce Cushion Cream, $28 for 3.38 ounces, is a mousse-style sunscreen with SPF 30/PA++. Goodal’s Super Seed Oil Plus Skin Mist, $35, is a mist that contains fermented oils and is meant to brighten skin. TonyMoly Pocket Bunny Mists in Sleek or Moist, $14 for 2.11 ounces, are for oily and non-oily skin respectively. Like I said in my Sephora shopping post earlier, I have the Sleek mist and really like it. I’ve actually given a bottle of it as a birthday gift to one of my coworkers. Holika Holika Vita Up! Facial Water Mist, $12 for 3.38 ounces, comes in three varieties: green for calming, violet for moisture, and orange for brightening. TonyMoly Clean Dew Face Flower Rain Mist, $12 for 1.76 ounces (50 mL), is meant to just be refreshing and moisturizing through the day. Mizon Snail Repair Hydro Mist, $20, contains snail mucin filtrate for skin rejuvenation. SkinFood Royal Honey Mist, $18 for 100 mL, contains royal jelly extract as well as honey, and is a hydrating mist. Aromatica’s Damask Rose Soothing Gel, $18 for 300 mL, is designed to treat dry, rough, and irritated skin, and can be used on both face and body. Binchotan Charcoal Body Scrub Towel, $18, is two-sided, with one side for exfoliating and the other for cleansing, and is naturally antibacterial. Their Facial Puff, $16, is a sponge for cleansing. Konjac Puff Facial Sponge, $11 is a facial cleansing tool. Mizon’s Multi 24 Enrich Dry Oil, $38 for 4.39 ounces, contains olive oil (among other things) and can be used as a daily facial oil. Mizon’s All In One Perfume De Body Secret, $32, is a multifunction body treatment: scrub, shower gel, essence, and perfume. The All Day Feel So Good Perfume Mist, $16 for 2.36 ounces, comes in citrus, baby powder, and cherry blossom. The Miracle Peeling Foot Mask, $24, removes dull and dead skin on the feet. Chidoriya Camellia Oil, $33 for 1.85 ounces, is 100% Camellia oil and can be used on the skin and in the hair. TonyMoly’s Fruit Hand Cream, $12 for 30g, comes in Tangerine, Peach, and Apple scents. Urban Outfitters also carries a fairly decent selection of affordable cosmetics. TonyMoly Egg Pore Silky Smooth Balm, $17 for 0.70 ounce, is an oil control primer that comes in a gold egg case. The Prestige Moisture Primer, $30 for 1.05 ounces, is a gel-type primer that contains gold flakes. Their Face Mix Flash Primer, $28 for 30 mL, is light-reflecting. Holika Holika’s Don’t Touch 2 Cover Jumbo Stick Concealer, $8 for 0.17 ounces, is a chubby pencil concealer available in 2 light colors. Mizon’s Snail Repair Blemish Balm, $21 for 1.69 ounces, is a BB cream with SPF 32/PA++ rating. I own this BB cream and it’s nice, fairly light to medium coverage, will likely match anyone in a MAC number range from about 18-22, but it ended up looking a little bit dull on me. Their Watermax Moisture BB Cream, $21 for 1.69 ounces, is a light coverage foundation that is also supposed to moisturize. TonyMoly’s Luminous Pure Aura CC Cream, $25 for 1.69 ounces, is color-adjusting with some shimmer. TonyMoly’s Luminous Goddess Aura Beam, $22, is a jelly-type highlighter that can also be mixed with foundation. I chatted a little about this in the Sephora post, since it is available there as well: I think it would be difficult to use if you have oily skin. Their Crystal Light Highlighter, $12, is a liquid, gold-colored highlighter with a paddle applicator. TonyMoly’s Crystal Blusher, $8, is a powder blush that comes in 7 shades, some of which may also be suitable for highlighting and contouring. PeriPera’s Ah Much Real My Cushion Blusher, $16, is a liquid blush with a cushion applicator that is available in 4 colors. Holika Holika’s Hello Holika Breeze Kitten Blush, is a powder blush only available in the one color and is $28; their Aqua Petit Jelly Watery Cheek is $10 for 0.35 ounces, a cream blush in a small tube, and comes in 4 colors. The Face Shop’s Lovely Me:Ex Pastel Cushion Blusher, $12, is a powder blush in three colors (purple, rose, and coral). Clio’s Waterproof Brow Twistup Mascara, $22, comes in Yellow Brown, Brown, and Red Brown, and has a spoolie-type applicator. TonyMoly’s Easy Touch Waterproof Eye Brow, $10, is an automatic pencil with a spoolie on the end, and comes in three colors. Holika Holika’s Wonder Drawing Eyebrow AutoStick, $8, is an angled automatic pencil in a style similar to Tom Ford’s eyebrow pencils, and it comes in Gray Black, Brown, and Red Brown, with a spoolie on the end. TonyMoly Panda’s Dream Brightening Eye Base, $12 for 3 ounces, is a brightening eye-area concealer. TonyMoly’s Crystal Lovely Eyes, $8, is a two-in-one pencil with shadow on one side and liner on the other, available in 5 shades. Peripera’s Letter Me Waterproof Eye Crayon, $14, is a chubby crayon shadow with pearl, available in 7 colors. Holika Holika’s Jewel-Light Waterproof Eyeliner, $8, is a gel pencil liner available in 9 colors, that contains shimmer or glitter in each color. This is Jewel-Light #10 Chocolate Citrine. It’s a warm brown with not a ton of shimmer. 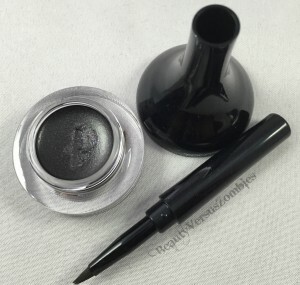 Their Wonder Drawing Eyeliner Autostick, $7, is only available in black and brown. Their Jewel-Light Under Eye Maker, $16, comes in two colors and is a dual product, with liner and cream eyeshadow in one stick, meant to be used on the undereyes. Peripera’s Saturday Night Liner, $15, is a shimmery brush-type liquid liner available in 7 colors, and the Smoothie Waterproof Pencil Eyeliner, $12, is a gel pencil available in 4 shimmery shades. TonyMoly’s Skinny Touch Brush Eyeliner, $12, is a liquid brush liner available in black. Their Perfect Eyes Waterproof Liner, $18, is a brush type liner in 5 shimmery colors. Their Backstage Gel Eyeliner, $14, is available in three colors, and is a gel pot liner with a brush that’s part of the packaging. I have this in a color not available through UO, and I actually like it quite a bit (and the packaging is clever!). The brush fits into the tip of the liner cover, so you don’t have to worry about it splaying in your purse or pouch! Clio’s Gelpresso Waterproof Gel Liner, $20, is a gel pencil with an auto-twist, available in 9 colors through UO. This is Bloody Devil in a nice burgundy shade. Clio’s Waterproof Turnliner Twist-turn, $23, is a brush liquid liner with a twist-up pump mechanism, available in 8 colors. TonyMoly’s Double Needs Pang Pang Mascara, $14 for 0.42 ounces, comes in Brown, Curling, Volume, and Blue. (I assume that curling and volume are each black.) Holika Holika’s Magic Pole Waterproof Mascara, $18, has one of those weird wands that ends in a little spiky ball, and is available in black and purple. Clio’s Hitch Eye-King Longlash Mascara is $20 for 0.35 ounces, as is their Hitch Eye-King Curl Mascara and the Hitch Eye-King Volume Mascara. Peripera’s Lash Serum Dual Mascara, $20, is a primer and mascara in one. TonyMoly’s Delight Tony Tint, $6, comes in three colors: Red, Cherry Pink, and Cha Cha (orange). I have Red and ChaCha. This tube happens to be #02 Red. The Tony Tints have a heavy sugar-fruit taste, but do a decent job at sticking to your lips and are buildable to a very intense pigmentation level. Their Mini Lip Balms, $10 for 7 grams, come in the same three flavors that are available at Sephora: Peach, Blueberry, and Cherry. (And they’re cheaper here than at Sephora. Score!) The Petite Bunny Gloss Bars, $8, come in 7 colors. Each Bunny has a different facial expression. I purchased the ANGRIEST bunny. These gloss bars are pretty small, and the gloss isn’t as smooth as I’d like, but the color isn’t bad. The Delight Tint Crayon, $10, comes in 5 colors, three of which are neon (and one called “Change Green”). I have Neon Red and I like it, although it’s closer to pink than red, like most Eastern cosmetics are on my lips. The Kiss Kiss Lip Essence Balm, $10 for .31 ounces, is the same as at Sephora (but only available in the red package), and Urban Outfitters also carries the exfoliating Lip Scrub, $10 for 0.31 ounces. The Kiss Lover Lip Master, $16, is a tint, gloss, and lipstick in one and comes in 5 “soft matte” finishes that are lighter, with an inexplicably less expensive entry for 5 darker colors at $14 each. The Kiss Lover Lipstick, $12, comes in 9 colors. TonyMoly also makes a Kiss Lover Lip Plumper, $10 in red, and a Snail Lip Treatment Balm, $12 for 0.42 ounces. Holika Holika’s Aqua Petit Jelly CC Tint Bar, $10, is a lip crayon available in three shades (Cherry, Pink, and Orange) of soft color. Their Heartful Silky Lipstick, $12 for 0.13 ounces, comes in 10 colors in a regular tube, but the actual lipstick is heart-shaped. The Pro:Beauty Lip Attention, $18, is a lip gloss in 6 colors with a rose scent. The Holy Berry Jelly Tint, $10 for 0.27 ounces, is a gel lip tint in three colors (Cherry, Pink, and Peach). The Pro:Beauty Tinted Rouge Lip Color, $15 comes in 6 colors, with a glossy finish. Holika Holika also makes the Lip Rescue Scrub, $10, as part of a trio, and the I Want Chu Lip Balm Set, $15 for 2 balms, is a set of a color and a clear balm and comes in three sets (Strawberry, Cherry Coke, and Milky Soda). PeriPera’s Rouge Pang Lipstick, $16, comes in 8 colors. You can find my thoughts on the Rouge Pang here. The Cushion Lips, $14, is a gloss that comes in a cushion applicator and is available in 8 shades. The Lumi Pang lip gloss, $14, comes in 7 shades, and once again here are my thoughts. Peri’s Tint Water, $12, comes in 5 colors and is a water tint. I have two colors (Orange Juice and Mandarin Juice). These tints have a really strong bitter taste but are very pretty. Peri’s Tint Crayon, $14, comes in 6 colors. Peri’s Tint Milk, $12, is a milky tint and comes in two colors: Milky Pink and Milky Peach. The My Color Lips Lipstick, $18, is available in 5 colors. The My Color Gloss, $12, comes in 4 colors. The Love Fairy Tint Glow Stick, $16, was made in several colors but is only available in Windy Love on Urban Outfitters. Clio’s Lipnicure, one of the first long-lasting high pigment liquid lipsticks I tried from Korea, is available in 4 colors for $26 each. This is the shade “Guilty Pink”. Honestly, this isn’t my favorite formula – but it is significantly more matte than just about any other lip product I’ve tried from this brand. The Gelpresso Melting Lipstick, $22, is available in 10 colors, all of which appear to be shimmery. DHC Olive Virgin Oil Swabs, $4 for a pack of 50, are individually wrapped cotton swabs with olive oil for point makeup correction. TonyMoly’s Highlist Eyelash Curler is available for $8. Binchotan Toothbrush, $8, has charcoal blended into the brush itself. Missha’s The Style Deep Clean Point Remover Tissue, $8, is a packet of 15 makeup remover tissues. One of the best things about Urban Outfitters is that they have a section on each product’s page that is designed to list the ingredients. Sometimes this area is blank, but fairly often they’ve got a comprehensive ingredient list, so you can use that to weed out anything that irritates your skin as you shop. Urban Outfitters will ship orders of $50 for free, and allows free return shipping or returns in-store. If I’m purchasing something from UO, I will usually wait for one of their sales. If you sign up for their mailing list, they will e-mail you pretty frequently to let you know when things go on sale. Unfortunately, you can’t elect to sign up for only beauty-related emails at this point. This entry was posted in budget, guide, makeup, skincare and tagged makeup, multi-part, skincare by BeautyVersusZombies. Bookmark the permalink. The Holika Holika “blush” comes in two shades: a blush set and a highlighter set (sort of a much younger version of Guerlain’s Meteorites). UO only has the highlighter color.